The NHL is a tough league. A bad decision can have long-lasting and far-reaching implications for a franchise and its fans. Those decisions are made all the time, and we can only sit back in agony and watch. That’s why we’ve created a new NHL, the Never Happened League. In our new league, your teams’ GM always makes the right trade or draft pick, your coach always knows the right lineups to put in, and the lottery balls always fall your way. Today, we take a look at what could have been if the Edmonton Oilers spent their Peter Chiarelli days in the Never Happened League. We received news early Wednesday morning that Peter Chiarelli had been relieved of his duties as Edmonton Oiler’s general manager. It was a move that many saw coming, and that many more hoped would have come sooner. The timing may not have been as swift as some desired, but it still allows for this team to conduct a thorough search and not have their trade deadline mired by panic moves. Disconcerting is a very kind way of describing his handling of trades and the salary cap. Very few moves he made outside of drafting Connor McDavid have panned out and made a positive difference for his team. He paid with his job, and rightfully so. It made me think: with seemingly every move he made being the wrong one, what would things be like if we simply flipped the switch? Things are never so black and white (at least not in the real NHL), with position changes, personality fits, and numerous other factors coming into play. But still, it never seems as though a GM has made so many wrong decisions consecutively. For all the flack they get, even guys like Marc Bergevin – whose team is playing surprisingly well this year – and Doug Armstrong – whose trade record is actually pretty darn good – have some notches in their respective belts. But Chiarelli has one surefire draft pick to his credit, that’s really it. At the 2015 draft, Chiarelli doesn’t trade the Oilers’ 16th and 33rd overall picks to the New York Islanders for defenseman Griffin Reinhart. He instead hangs on to the picks and drafts forward Mathew Barzal 16th overall. On July 1, 2015, Chiarelli doesn’t sign defenseman Andrej Sekera to a 6-year, $33 million contract. Sekera has posted solid point totals in Edmonton, but below-average possession and shot suppression numbers that certainly don’t fit his contract. The Oilers instead go with a shorter-term option, like Johnny Oduya, with less cap implications. At the 2016 draft, Chiarelli passes on Finnish winger Jesse Puljujarvi and opts for Mathew Tkachuk. On June 29, Chiarelli doesn’t compete with the Subban/Weber headlines and the deal that would send Taylor Hall to New Jersey in exchange for Adam Larson falls through because he realizes how freaking stupid it is. In a sudden epiphany he sits on his All-Star winger and salivates over the havoc he and Connor McDavid can wreak together. On July 1, Chiarelli doesn’t sign winger Milan Lucic to a 6-year, $42 million contract in the hopes that he can be an all-in-one finisher and protector for his generational center. He has no need to fill the position, because he didn’t trade Taylor Hall and Tkachuk gives his team the edge it lacked before. On June 22, Chiarelli doesn’t make what he sees as a lateral trade and send Jordan Eberle to the Islanders. He realizes Ryan Strome’s production won’t match Eberle’s, and he won’t fit as well in the lineup either. On June 23, Chiarelli doesn’t sign defenseman Kris Russell to a 4-year, $16 million contract extension and instead lets him walk into free agency. With a big hole on the blue line, he swings and misses at the big fish – Kevin Shattenkirk, who wants to play close to home – and signs Karl Alzner instead, who may have said something about wanting to win a Stanley Cup. Totally cap compliant, with over $5 million to spare that can be used in the future for guys like Barzal and Eberle, or in the present to address the admittedly thin defense. But dear lord, that forward group. Does anyone think the Oilers would be a collective minus-53 without Connor McDavid on the ice while fielding this team? Does anything think they’d need him to put up Hart and Art Ross numbers every year just to get to .500? I sure as hell don’t. The shear wow-factor of that lineup with three legit top-line centers and wingers who can actually score is plain impressive. In the not-so-impressive category, it paints a damning picture of just how badly Chiarelli mismanaged this roster and how much talent he let escape under his watch. The “Decade of Darkness” ended in Edmonton, and now the “Reign of Terror” – okay, I’m the only person I know who calls it that but it’s definitely accurate- has as well. Only bright days lie ahead for teams in our league, but with this move Oilers fans can have the same hope with the real deal. The true season of hope for NHL teams is opening night, when the records are all the same and everyone has a shot, at least theoretically. That hope wanes at different points for every team but one. The holiday season is the season of hope for everyone else, so let’s have a little fun and see what each team would like to wake up under their Christmas trees. Some teams have multiple wishes, but asking the Panthers to pick between better goaltending and more even-strength scoring would be like asking teenage me to pick between an Xbox or a PS3; I’d happily take either. 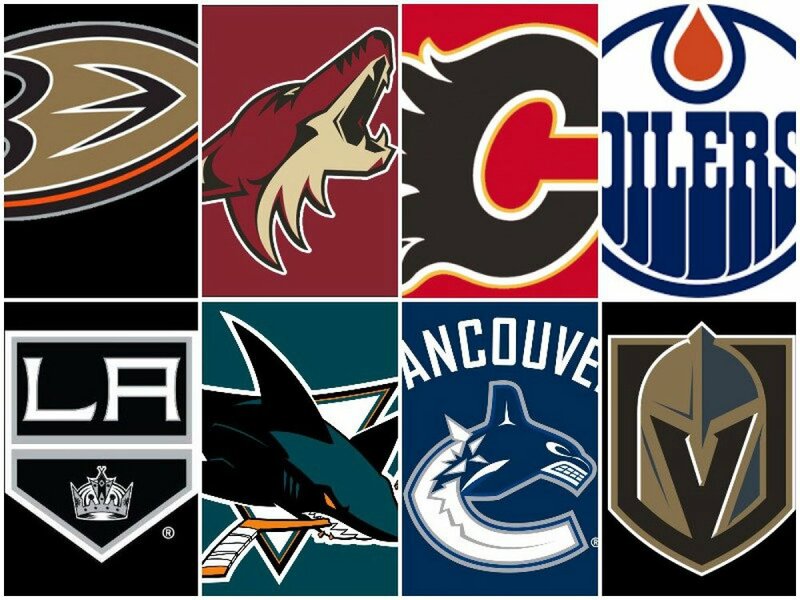 Saturday we took a look at the Pacific division, now on to the Central. Chicago is a harsh reminder of reality under the salary-cap: you can’t stay great forever. With an aging roster and some inflated contracts, the ‘Hawks are at a bit of a crossroads. They’re not really bad enough to warrant a full tear-down. They’re also not really good enough to make you think they’re just a piece or two away from truly contending again. That’s why they must make the difficult decision to pick a direction and stick to it. Do they go the Rangers route and announce a full rebuild? Do they continue to tread water in the hopes that some magic and a gamble on a guy like Dylan Strome can get them back to the playoffs? Do they push their chips to the middle and make a big move with what they have now? Regardless of which path they choose Stan Bowman and the Blackhawks brain trust venture down it steadfastly, because if you continue to tread water you’ll finish in the middle, draft in the middle, and stay in the middle. The middle is not where anyone wants to be. You can put me firmly in the camp that thought the Avs severely over-achieved last year and would regress. Coincidentally, you can firmly put me in the camp that was wrong. Colorado’s first line has been unstoppable, and the rest of the team has pulled enough of their weight to put the Avalanche within striking distance of the division lead halfway through the year. With all the talent up front, it’s no surprise they have one of the league’s best power-plays. With all the offense, though, the defense has been questionable, especially on the penalty-kill; their PK% sits tied for 22nd in the league. They currently reside near the middle of the pack in terms of goals against, so an upgrade on the PK – whether it be an internal one or not – would be huge for a team looking to sustain this pace and push for a top spot in a tough division. The fact that the Stars sit just 2 points out of a wild card spot is pretty astonishing given the rash of injuries they’ve dealt with. There have been games where more regular members of the Texas Stars suited up on defense than members of the Dallas Stars. They’ve lost an inordinate 96 man-games to injury on defense (to be fair, the Bruins lead the league in that category, but their forwards have been far healthier than Dallas’). Over the course of their 35 games so far, that’s almost half of their D-corps sitting out due to injury, per game. Imagine your team playing with half of their defensemen. Other important pieces have missed extended periods as well, like forward Jason Spezza and goalie Ben Bishop. The Stars have talent and seem to be responding well to first-year coach Jim Montgomery’s message. Whether or not they get – and stay – healthy will be a determining factor in how far they go. Much like your parents are obliged to get you socks for Christmas, Paul Fenton is pretty much obliged to make a move at this point. Many expected him to do so in the offseason; while he listened to offers he eventually stood pat, saying he wanted to assess his new team. That’s fair. Not making a move when his team started the season 14-9-2 was fair as well. Since the beginning of December, however, the Wild have lost 7 of 10 and are quickly spiraling downward. I’m not suggesting he raze the earth and blow up the team – it takes some sort of talent and consistency to make as many consecutive postseason trips as they have – but it seems more and more like they need a shakeup, some new blood. The good thing is that they have assets all over the board, many of which I’m sure opposing GMs have on their Christmas lists. Nashville plays a rough brand of hockey, but coincidentally takes a lot of penalties because of it. They lead the league in penalty minutes, are 9th in penalties taken and have the worst PIM differential of any team. Their opponents have had over 400 penalties minutes, almost 30 more than the next-worst team - Calgary, if you were curious. For a team with Cup expectations, that won’t cut it, especially in the playoffs against potent power plays like Winnipeg and Colorado where those power play goals can be such momentum shifters. Nashville’s 14% power play percentage is cause for concern, but with their defense-first style – they allow the fewest shots and goals per game of any team in the league – they still have time to work out those issues, as long as they give their guys a fair shot and stay out of the box. The Blues have a ton of talent and it shows, just at different times. Everything but their penalty kill and faceoff percentage (thanks ROR!) ranks outside the top-10 of the league. They started the season playing well defensively, but couldn’t score. Then they finally started scoring and giving up a plethora of goals. All the while, the power play and goaltending have been maddeningly inconsistent. On the nights where O’Reilly is tearing it up, Vlad is invisible. When Petro is playing well, Parayko and Bouwmeester are making mistakes. When Jake Allen has a good game (yes that still happens) the structure collapses arounds him. The Blues were labeled by many as cup contenders after what looked to be a fantastic offseason and have shown they have the talent in bursts, but haven’t pieced together a solid stretch of games to gain any positive traction. They’ll need to find a way to put it all together at the same time or else the season is lost, if it isn’t already. Perhaps that, coupled with the fact that everyone from the GM down to the players is fighting for their job, will provide them the necessary jolt. Like a few others, the Jets, with their vicious power play, bruising style, and finishing ability are really tough to nitpick. They’re a bona fide cup favorite and back it up with their play every night. They get contributions from everywhere and everyone. Essentially, they’re in much the same boat as Nashville: just be more disciplined. They’ve taken the third most penalties in the league, but offset it a little better than the Predators with the league’s best power play. Even then, staying out of the box helps everyone. The Jets also surrender a lot of shots, and staying off the PK will obviously help in that category as well. It may seem like the easy answer, but the easier answer is that Winnipeg is just really freakin’ good and doesn’t much more need to make their Christmas (or their season) any better. NHL.com, Fox Sports, Natural Stat Trick, NHL Injury Viz, and Sean Tierny’s Tableau – which is an amazing resource for NHL sabermetrics – were used for research for this article. The season of hope for NHL teams is opening night, when the records are all the same and everyone has a shot, at least theoretically. That hope wanes at different points for every team but one. For everyone else, the holiday season is a time of joy and hope, so let’s have a little fun and see what each team would like to wake up to under their Christmas trees. Some teams have multiple wishes, but asking the Panthers to pick between better goaltending and more even-strength scoring would be like asking teenage me to pick between an Xbox or a PS3; I’d be ecstatic to get either one. From the beginning of the season until the end of November, the Ducks scored 60 goals in 27 games, an average of barely more than two per contest and 29th in the league. In the month of December alone they’ve scored 32 in 10 games, won 7 of those last 10 and propelled themselves back into the playoff race. Injuries played a part in the Ducks early-season woes and with a relatively healthy roster they’re playing more like the team we thought they’d be. Playoff spots in the Pacific look ripe for the plucking, but the Ducks have to sustain this pace in order to capitalize on the opportunity. There was optimism abound even after a terrible season for the Coyotes after last year, predicated on the emergence of Clayton Keller, the second-half run, and the extension of OEL. This season is doing little to deliver on the promise, with the Coyotes again near the league’s basement. Clayton Keller is doing his part, leading the team in points and tied for the team lead in goals, but the rest of the team has to step up their production if the Coyotes want any hope of finishing outside the bottom-5. The Flames have been a bit of a surprise this year, even with all of their young talent. Bringing in forwards James Neal and Elias Lindholm has allowed other guys to move down into more fitting spots in the lineup, and everyone is benefitting. While they’re scoring at a great pace – 126 goals, 3rd in the league – and not giving up too many – they’ve allowed the 8th fewest – their penalty differential sits at -58, second worst in the league. For what it’s worth, Nashville, Tampa, and Toronto all have similar penalty differentials, but only Nashville is penalized more than the Flames. Calgary gets their chances and capitalizes on them often, but keeping the oppositions’ to a minimum would behoove the Flames in their efforts to keep a hold on their lead in the Pacific. Kind of ironic that the team that traded away Taylor Hall and Jordan Eberle needs a scoring winger now, isn’t it? No? I didn’t think so either. And before you say Alex Chiasson, do you really think they guy who’s never scored more than 13 in a year before this season, the same guy who’s shooting at a ridiculous 31.3% clip will keep it up? No? I didn’t think so either. Even with his ridiculous numbers, the Oilers still sit at 20th in goals-for. RNH has acquitted himself well as a top-6 winger, but wouldn’t it be terrifying if they could line him up behind McDavid and Draisaitl as a third-line center? Finding someone who can produce consistently on McDavid’s, Draisaitl’s, or preferably boths’, wing would give them that option while making the top-6 even more dangerous. Pete Chiarelli has two strikes with Milan Lucic and Jesse Puljujarvi failing to produce, a third – and second consecutive playoff miss – could cost him dearly. This one is a bit cynical, but hear me out. It’s no secret the Kings are a massive disappointment, but what could you expect from a team that got swept in the playoffs and then touted 35-year old Ilya Kovalchuk as their main offseason addition? Rob Blake tried like hell to add other pieces, but swung and missed on Max Pacioretty, John Tavares, Phil Kessel and Erik Karlsson. The Kings have their franchise center and defenseman, two of the most critical pieces to a champion, but lack impact talent elsewhere. They also lack the alluring future assets and cap-space to add that player via trade or free agency. The Coyotes showed us last year that even a ridiculous second-half run can be stymied by a poor start to the season. That leaves the draft as their best option, and they’re positioned well so far. It’s no certainty, but winning a lottery pick this year would position the Kings nicely in 2019 and beyond, a tantalizing prospect for a team looking to make the most of the twilights of two great careers. The Sharks are hard to nitpick. They shoot and score plenty. Their special teams are fine. They find themselves in the top half of the league in almost every category that matters. They’ve not been dominant – aside from the PK – in any category, but they haven’t been bad in any category. They’ve been relatively healthy. They have a few players playing at or close to a point-per-game pace. They should once again be considered a threat come playoff time. The only real “issue” I see with the Sharks is that outside the top-6, there are opportunities for them to score more. Eric Karlsson and Brent Burns certainly aren’t depth guys, but recent history suggests they should score a little more, too. If they shore up one of the few weak aspects of their game, then there’s really blood in the water for opponents. This one is pretty simple. Everyone knows this is a bridge year for the Canucks as they build their team back to contention post-Sedin twins. The future in Vancouver is in their young talent, and the commitment to the kids is paying off. The Canucks’ five leading scorers are all 23 or younger, with electrifying rookie Elias Pettersson, - also known as Dekey Pete, or the Alien, or whatever you guys are calling him now – leading the way. A continued commitment to the youth movement could have the Canucks contending much sooner than anyone felt possible. It Pettersson keeps his tree up until summertime, he’ll probably find a Calder trophy sitting under it, with the hope he brings this franchise as the bow on top. While the magic of last season seems to have faded, the precipitous dropoff that many expected for the Knights hasn’t happened. They’re not lighting the league on fire, but they sit comfortably in the playoff picture despite extended injuries to key players like Max Pacioretty and Paul Stastny. One of the Vegas’ greatest strength’s from last year however, has turned into a weakness: their team save percentage of .901 sits near the bottom of the league. Looking at the numbers, it’s hard to see why. Their penalty kill is exceptional. They don’t give up many high-danger chances, 6th-fewest in the league to be exact. They play a highly disciplined and structured system under Gerard Gallant. But numbers don’t tell all. A look at the shot charts for Marc-Andre Fleury and Malcolm Subban tells a lot more, particularly that these two face a large number of shots from below, and in between the faceoff circles. Fleury in particular is peppered with shots from this region. The Knight’s paltry faceoff percentage is partially for blame for sure, but structure and discipline play a role as well. If Gallant can scheme his way out of this one, the Knights may surprise a few more people this year. The NHL had seemingly been run by Sidney Crosby and Alex Ovechkin for the better part of almost a decade until Connor McDavid entered the league in 2015 and played his way into – and has since taken over – the discussion of the league’s best player. With Crosby and Ovechkin heading into the back-nine of their illustrious careers, and some others entering their primes, several new names have entered the discussion, like Auston Matthews and Nathan MacKinnon. We can debate their accolades until the cows come home, and people will. Everyone (including the fine folks here at Wheel House Hockey) breaks down who they see as the top players. That’s not what this list is meant to accomplish, not the question I’m asking. Please note, again, this is not a list based on point production or CORSI or anything like that. It’s simply a list of players who make you say “wow” every time you watch, tentatively ranked. Ovi scores goals. Lots of goals. Goals are the objective of the game, and loud horns and music play after they’re scored. That’s all exciting, so who’s more exciting than the guy who always scores? Nobody, but the goals aren’t all that makes him so much fun to watch. Part of that is what he does after he scores, how hard he celebrates. He doesn’t do the flappy bird, lasso cattle, or go for a swim, but the genuine smile and intensity with which he pumps his fist show he hasn’t lost the child-like love for the game that helped make the 8 so great. When he’s not disregarding goaltenders, he’s throwing his body around, making sweet passes, and being just pesky enough to get under the other team’s skin. Watching Ovechkin grab the Stanley Cup was a moment that encapsulated his warrior-like desire to be the best at the game he loves so much. The goals are great, but his affection for the game and how he displays it are what puts him atop this list. To be fair, even your hockey-illiterate friend probably knows who Connor McDavid is, and already knows he’s special. But to truly appreciate him, the slick pass and great goal highlights don’t do him proper justice. One of his most valuable assets, his skating, is literally jaw-dropping to see in person. He could take five strides and be at the other end of the rink. Add this to the fact that the puck sticks to him like glue even at mach-5 speeds, and his cerebral vision, and you have an offensive force unlike any other. McDavid demands the attention of the fans and the other team the second his blades hit the ice; he can do something special no matter where he’s at. Plenty of guys can skate fast, dangle, or score. Not many can give you the whole package and make it seem so effortless like McDavid does. Okay, yes, your friend probably knows who Sidney Crosby is as well, and chances are they don’t like him very much. But they can’t deny how much fun he is to watch. While McDavid is Lemeuix-like in that he’s always dangerous, Crosby is Gretzky-like in that he makes everyone around him more dangerous. His vision and hockey sense are what makes him so special, part of what makes him so fun to watch. He’ll find his winger across the crease with a backhand pass that looks like it went through four bodies. He’ll win a battle down low, turn, and find a streaking defenseman right on the tape. He’ll draw up a faceoff play for his teammates that will end up scoring the overtime winner. He’ll do all this while possessing the game’s best back-handed shot and elite defensive acumen. He creates plays out of nothing better than anybody. He may not be your favorite player, but you can’t deny watching him do things like this is wildly exciting. In a mold similar to Connor McDavid, Kane is a small, fast, electrifying forward. He does it all with incredible ease, and is a rare talent who can score from anywhere. He’ll venture to the blue paint for a tip-in or let loose a nasty wrister, it’s all the same to him because he just knows how to score. Recently, he’s developed a great knack for making plays and his assists and highlight-reel passes have increased with his sense and vision. Like a lot of others on this list, Kane’s skating is part of what makes him fun to watch. It’s not necessarily speed, but the fluidity with which he moves while dangling the puck with surgeon-like precision that makes you say wow. Watching him trade goals, and celebrations, with another one of the league’s top talents (and another member of this list) is always great fun as well. Pretty much everything in the description for Kane fits Panarin as well. Fluid skater? Absolutely. Nasty dangles? You betcha. Scoring machine? You know it. I’ve had the pleasure - or displeasure, when it’s been my team on a few occasions - of watching him weave his way through an entire defense, let loose a wrister and basically take control of a game by himself. He’s almost his own entity out there, but he can make great plays from anywhere on the ice and so it just works. He’s always been visible even though he’s played in systems in Chicago and Columbus that don’t necessarily put his skills in the limelight. Add in arguably the league’s best nickname, and inarguably the league’s best backstory and you’ve got the total package. Malkin is a bit of a physical unicorn, a stalky, 6’3” forward who gallops down the ice and skate as fluidly as anybody. He’s got some great handles and a premier one-timer to go with his God-given gifts as well. Geno plays an entertaining game with a huge edge. He’s not afraid to show his frustration. That alone doesn’t make him special, but how he plays when he’s mad does: he seemingly has another gear when a call doesn’t go his way or a gaffe of his costs his team. The best way to describe this? I took a friend - no, he’s not hockey illiterate like your hypothetical friend - to a game a couple years back, and the Pens were trailing 3-0 in the first with nothing going their way. Malkin didn’t get a call on an obvious trip, and he was visibly heated. I turned to my friend and said “Watch out, Geno’s pissed”, eliciting a scoff in response. He ended up with three points, his goal coming on a play where he undressed the entire opposition and my friend turned to me and asked “how did he just do that?” I just told him he’s been doing it for a while now. One of the few people in the world who can challenge McDavid’s speed, MacKinnon is immense fun to watch for that alone, but he’s got other reasons. He’s sort of a combination of the things that makes McDavid and Crosby fun: his speed and ability to slow a play down with his cerebral vision. Like a lot of others on this list, MacKinnon sees plays happening before they’re happening, and makes a lot of special passes because of it. He’s tremendous at entering the zone and allowing the play to develop, cradling the puck while he acts as a quarterback of sorts for arguably the league’s best line. It’s not always the goals or highlight reel passes that make him so special, but the ease with which he does it. He’s always been a great player, but the authority with which he assumed the number-one role in Colorado has everyone taking notice, and rightfully so. Burns is the only defenseman on the list, and he used to play forward. This may not be fair, but offense is what’s been driving the new era of the league and he brings plenty. I’ll concede that his defense lacks at times, but he’s wildly entertaining to watch when he’s attacking. On the power play, he’s cannoning one-timers to the net, often scoring or setting off skirmishes. He’s never scared to pinch, and often looks like a fourth forward doing so, swopping behind the net to take over the zone and make a play. He picks up a lot of his points on rebounds, but his passing shouldn’t be underrated, nor should his convincing fakes that open opportunities. He’s not the fastest skater, but he has the agility and handles to make “wow” plays. Defense be damned, Burns is fun to watch. As I said earlier, goals are fun and by association, so are the players who score lots. Matthews fits this mold. His release is incredible, Sakic-like on the forehand and Crosby-like on the backhand. He only needs the puck for a second to put himself in a position to beat the goalie, and he does it from everywhere. He’s almost like an elite wide receiver in the sense that he has such great body control and can not only score from anywhere on the ice, but from less-than-optimal positions. A great skater and playmaker, and even better shooter, Matthews demands everyone’s attention when he’s out there. He started his career with one of the best efforts the league has ever seen from a rookie, and hasn’t slowed down since. If you’ve learned anything from this list, it’s that offense often drives entertainment value, and Tkachuk knows how to put points on the board. He also loves to throw his big body around and make his presence known that way. You can also pencil me in as someone who loves instigators, and there may be none better than Tkachuk. Since day one, he’s been making use of the Tkachuk-gene that makes his family far better than average at being a pest on the ice. It’s not always a big hit, sometimes a snarky chirp and a smirk is enough to let him under your skin. If instigating were enough to get spots on this list, guys like Ryan Kesler, Ryan Reaves, and Patric Hornqvist could be here as well. But Tkachuk brings that edge and all the skill necessary to back it up, putting him in a league of his own, at least among instigators and entertainers. Will Doug Armstrong survive another down Season as GM? Assuming the GM position in 2010, Armstrong has done well to lead a team that missed the playoffs four of the five seasons before he took over and turn it into one that has just two playoff misses in his eight years at the helm. That may seem like a positive take, and it is. There are actually quite a few to be had from his time as GM of the Blues. He’s drafted well, with perhaps his most noteable (sorry, couldn’t help myself) selection coming in 2010, nabbing Vladimir Tarasenko 16th overall. Others he’s drafted, including defenseman Colton Parayko, and forward Jaden Schwartz, are key players on the team, and some more – Robert Thomas, Jordan Kyrou, and Klim Kostin – are expected to be future impact players and are regarded around the league as upper-echelon prospects. You can look at his trade record and find some positives, too. The 2017 draft yielded two of his best deals, unloading Jori Lehtera’s contract and getting Brayden Schenn in the process, and getting a first round pick and capable bottom-6 forward from the Penguins in exchange for Ryan Reaves. His trade of Brad Boyes back in 2011 turned into a second rounder that got the Blues Joel Edmundson, one of their most productive defensemen. One of the aforementioned top prospects, Kyrou, was drafted with a pick the Blues got in exchange for goaltender Brian Elliott. 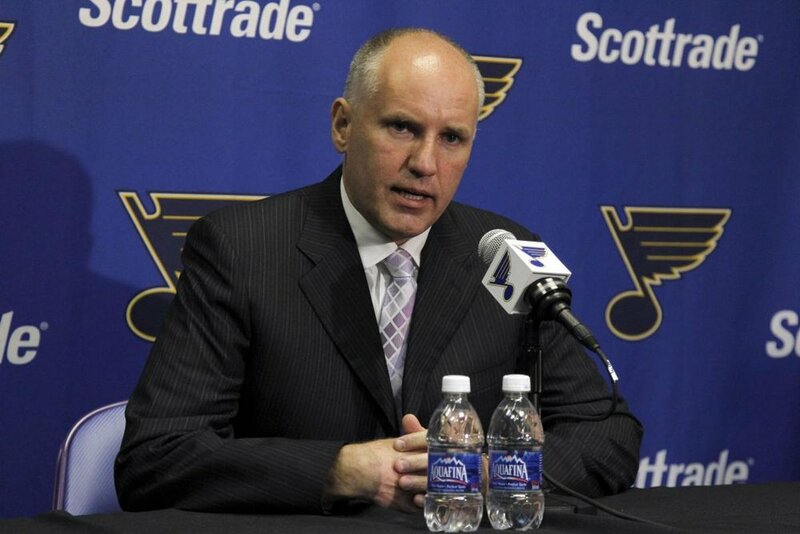 And let’s not forget the move he swung to bring in Ryan O’Reilly, dumping two inflated contracts at the same time. You must take the good with the bad in all businesses, though, and there has been enough bad in the last few years to make you question his standing. His trades haven’t all worked out wondrously. TJ Oshie, sent to Washington for Troy Brouwer, a pick and a goaltending prospect, gave the Capitals a key piece of their Championship team last year. What did it give the Blues? A memorable goal in the 2016 playoffs. Not bad, but not worth a top-6 forward with Oshie’s value. It also gave the Caps an insatiable worker and tough player, something the Blues seem to be lacking right now. Ian Cole, an underrated part of two championship teams in Pittsburgh, was swapped for Robert Bortuzzo, who’s been an underwhelming player while struggling to stay healthy. Much more questionable than his drafting and trading abilities has been his handling of free agents. “One million too much, one year too long, with a no-trade clause to boot” were the eloquent words a Blues fan used to describe his signing approach, and it’s pretty accurate. The two inflated contracts he moved in the O’Reilly deal? Both signed by him. Alexander Steen’s contract that pays him almost 6 million a year through his age-36 season with a no-trade? Signed by Armstrong. Giving the inconsistent Jake Allen a four-year deal that hampered them from signing Carter Hutton – who tore it up last year and is a big reason Buffalo is surprising everyone this year – was his call as well. On top of the salary-cap numbers, the true cost of questionable contracts can also be seen when valuable players have to be traded at a loss or allowed to walk, like David Backes, TJ Oshie, Kevin Shattenkirk, and Paul Statsny. In a hard capped league, every dollar counts, and so does the “true cost” of questionable cap management. Money plays an important role, but not just when looking at the salary cap. It paints a picture of where a team feels they are in the competitive cycle. Contenders and cup favorites almost always spend to the cap to keep their top players and fill in around the edges. Teams that don’t see themselves as in the race don’t always spend much above the salary-floor. But what happens when a team spends to the cap and still finds themselves in the league’s basement? Ownership is going to take note (this is too easy) and demand accountability. Armstrong has been through three coaches and a bevy of players already, and his less-than-savvy moves with the salary cap could come back to bite him. It’s so important to look at context when assessing a GM, too. When Ray Shero was fired here in Pittsburgh, the team was in the midst of a playoff streak that spanned almost a decade. Why was he canned? The context of the Penguins situation deemed them as a team that should compete for the cup every year, not just a playoff series win or two. Ditto for George McPhee in Washigton. The context of the Blues seems to be – and has seemed to be for a very long time - one of a team that’s just good enough to make the playoffs, but never good enough to make it very deep. Disturbingly, that hasn’t really changed, even with all the turnover on the roster and behind the bench. And with all that turnover, the Blues mainstays have remained mostly intact, with those leaving (David Backes, TJ Oshie, Carter Hutton, among others) being missed not only because of their play but because of their tenacity and leadership, something that still can’t be undervalued in this golden age of speed and analytics. But perhaps the most pressing contextual issue for the Blues is where they stand as a franchise. For over fifty years the Notes have failed to win the sport’s ultimate prize, which is damning enough in itself. 2.) They lean on the Blues even more now with the ill-planned departure of the Rams. 3.) Their fans watch the Cardinals compete for titles seemingly every year season. What’s that the recipe for? A boiling cauldron of desire and expectations. Is this Armstrong’s fault? Can he do anything to change the identity of a city and its fan base? No, but he must deal with it the same way Kyle Dubas and Marc Bergevin deal with it – albeit in much greater abundance – because being where he is, it’s just in the job description. Drafting, trades, and cap management all affect a team’s results and their context, and are all issues that fall in the lap of the general manager. When everything else – players, coaches, even the teams’ identity as one nobody wants to play – changes over the course of eight years, and the context does not, ownership often mandates a more serious change. Like any NHL executive, Armstrong has had his glowing moments and his warts. He drafts well and makes good trades (most of the time). He handles the cap with adequate competency. He’s overseen what could only be described as a successful era for the Blues, especially looking at what some other teams have been through since 2010. But he has failed to change the context of the Blues from competitor to champion, having had almost a decade to do so. That last part may be the most damning aspect of his tenure, and the one that ultimately ends it. Nylander Watch is coming to a close, and he’s not offering any hints to a decision since he’s skating with the U20 team in Sweden as we speak. 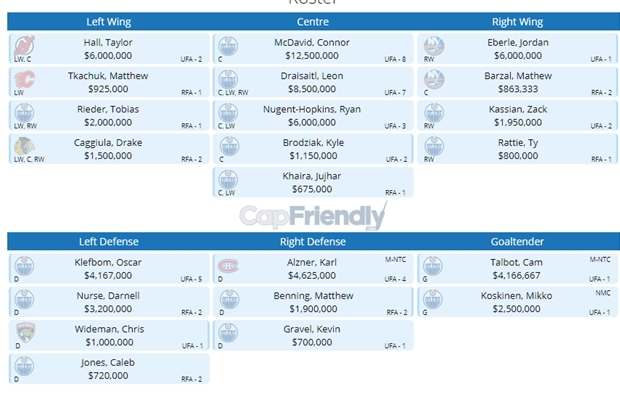 Since the outcome of this has produced mass speculation, let’s take a look at Toronto’s 2019-2020 cap situation, to see where they’d be at should they agree to a $7M/year contract. 2019-2020 Season Cap Space, assuming the cap rises to $82M, will have roughly $31.7M in available space. Let’s assume Nylander and Toronto meet in the middle and sign for $7M. That leaves $24.7M, with Matthews and Marner- the marquee names- needing to be re-signed. I’m predicting Matthews gets $11M and, if he keeps this pace up, Marner should be looking at around $9M. This leave $4.7M to re-sign RFA’s Kapanen, Johnsson, and Sparks and also fill out the rest of the roster. Honestly, I can’t blame Nylander for holding out. He has proven to be a top young player, posting back to back 60 point seasons. Signing on with Toronto would create a phenomenal situation, having Matthews or Tavares as linemates. His point totals would assuredly rise. This 70+ point player deserves to get paid. If Toronto decides to move on from negotiations, he will absolutely get his asking price somewhere. Vancouver strikes me as a possible trade partner. They currently have $7.3M in cap space, and young defensemen and some young forwards they can send in return- without gutting their core. He may not see the immediate boost to his statistical output that Toronto would bring, however, Vancouver has a promising young core that could grow together and become a dominant force in the NHL. Arguably the biggest UFA this upcoming offseason is Artemi Panarin. After posting 77 points in his rookie season, he followed up with a 74 point season before getting traded to Columbus in exchange for Brandon Saad. With a lot of people believing his success was due to his teammates in Chicago he had to prove that he could take the reigns and show how elite his talent really is. He did just that. Posting an 83 point campaign in his first season in Columbus he proved his doubters wrong and then some. He is off to a great start with 22 points in 20 games and he is holding all the cards when it comes to his negotiations. I’m sure there will be many suitors fighting for his services. Reportedly asking for a contract in the range of $10M-$11M a year there are only a few teams that, without making some trades to clear cap space, that can afford that type of deal right now. My fandom wants him to choose the New York Rangers. But when I think about it, there is a clear top choice. Currently this year they have $11.4M in cap space and a whopping $33.5M for next season. With the exception of Mikko Rantanen, who will get paid this offseason too, the core in Colorado is locked up already. With the real possibility of making a very deep playoff run this season and having a chance of a top 5 pick in the draft, thanks to Ottawa’s brilliant trade, this team is looking to be set up to be a top team for a while. Imagine a top line of Panarin-MacKinnon-Rantanen and a 2nd line with Landeskog and Jack Hughes wreaking havoc on the league. A young team..full of studs..only getting better, why wouldn’t Panarin be interested in going to Colorado?? FAN SUBMISSION: What's Wrong with the Penguins? Like most other seasons in the Crosby/Malkin Era, the Penguins entered 18/19 with Stanley Cup aspirations. Instead, for the first time since 2005, they since themselves at the bottom of the East in mid-November. There’s no quick fix, but some areas of concern loom larger than others. The Penguins teams that repeated as Stanley Cup champions were built on speed, but the rest of the league has caught up. Just as the Devils of the 90s pioneered the neutral zone trap and many others followed suit, so too has the league today with the speed approach. Speed and skill are quickly becoming valued over size and physicality, and teams are building accordingly. When you’re the fastest team, the speed approach works. When you’re – maybe – average, you have to find different ways to win. Mike Sullivan loves to see his team outskate the opponent, but he may have to change his tune a bit to accommodate the new roster. Outside of Sidney Crosby, who’s spent the last week injured, the Penguins don’t seem to have anyone consistently winning board battles, and it’s an issue in both ends. In the offensive zone, they can’t keep a cycle going and create chances for their shooters. They’re relying on lateral passes far too much, and far too often they’ve been taken the other way. In their own zone, the inability to win down low is giving opponents the opportunity to create quality chances that are getting past Matt Murray with alarming frequency – more on him in a bit. This is one of the easiest issues to fix, and I expect them to come out with more tenacity. I hate to say it, I really do. I’m one of his biggest fans. I’ll be one of the first to tell you that the guys in front of him haven’t done him any favors. And yes, I still believe he’ll bounce back. But as of right now, he’s not playing up to anyone’s standards. Like I said, the guys up front aren’t doing him any favors, but he hasn’t made many spectacular saves, stood on his head to win the team a game, or even strung together a few solid starts. These are all things that are part of the expectations that come from having as much success as he has this early in his career. He’s not Carey Price and I don’t expect him to almost single handedly carry this team, but having stymied teams like the Capitals, Sharks, Lightning, and Predators in the playoffs in recent years has created the expectation that he’s capable of much, much more. Riley Sheahan has one goal and two points so far, despite having played in all but one game and being given an opportunity to center a line with Phil Kessel on it. Daniel Sprong hasn’t scored yet in 14 games. Derek Grant has yet to register a point in 9 games. Bryan Rust, despite seeing some time in the top-6, has one goal and five points. Matt Cullen, often looking overmatched, is now out long-term with an injury. Derrick Brassard hasn’t been spectacular, but we’ll give him a slight pass because of injury – although more than two goals every ten games would be nice. The guys at the top of the lineup are getting it done, but the bottom-6 is failing this team. Aside from speed, perhaps the most prominent penchant of the Mike Sullivan Penguins has been the ability to role four lines. They haven’t shown the ability to do that effectively. Okay, aside from Kris Letang, who’s been their best and most consistent player thus far. Dumoulin gets a bit of a pass too, because he’s just who he is, a no-frills shutdown guy. Olli Maatta has taken a step back (or nowhere given he often looks like he’s skating in cement) after a promising 17/18 campaign. Justin Schultz is out. Jamie Oleksiak has shown streaky offensive ability, but many of his points came when the Penguins (or more believably, their doppelgangers) were torching western Canada. Chad Ruhwedel and Juuso Riikola look like capable fill-in guys and not much more. Jack Johnson is, well, pretty much exactly what everyone though he’d be. They need more from the blueline, especially when it comes to creating clean breakouts, something only Letang seems able to do thus far. Coaching turnover and changes in situations happen, much to the dismay of this team. Losing Rick Tocchet was a blow for this staff, and his presence on the bench can’t be understated, especially given his role as ambassador between Kessel and Mike Sullivan. I’m sure Sully is turning various shades of red at this point watching his team lose battles and take dumb penalties, and Tocchet was the guy who he relied on to help with issues like this. Sergei Gonchar is sorely missed as well, having gone back to part-time to spend more time with his family. Gonch played a critical role in helping the Pens defensemen – including two reclamation projects in Schultz and Oleksiak – play up to their potential. Without him, their defense corps has looked lost and unstructured far too much. You’ve heard of the elephant in the room, well the Pens have at least six right now. Some of these issues are easier to fix than other – you can’t just call take-backs on Rick Tocchet or trade your slowest players for faster ones. More tenacity and discipline would be a great place to start, and would help to fix at least three of these. 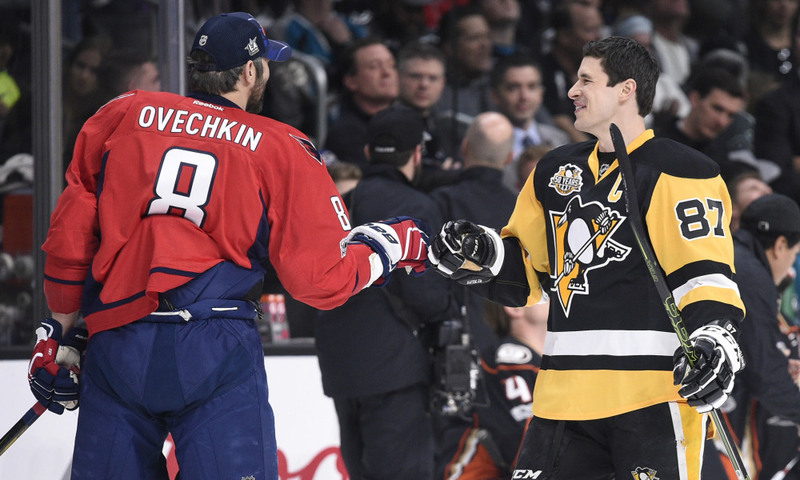 It’s early, and they have the star power to get it done, especially given the woeful state of the Metro right now, but things have to change quickly if the Penguins want to live up to expectations and make the most out of one of the final great years we could see from Sid and Geno.